Every Day Microfibre For Every Day Detailing. Detailing a car usually requires several microfibres to ensure each job is completed properly. And as every professional detailer and car care enthusiast knows, it's not possible to have too many of the every day all purpose microfibre towel! 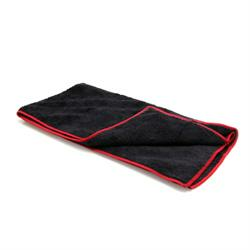 To meet this demand, Fireball provides the Black Fox All Purpose Towel suitable for a variety of detailing tasks from polish residue removal to glass cleaning - and everything in between!